This is the beginning of what is going to be a sign. 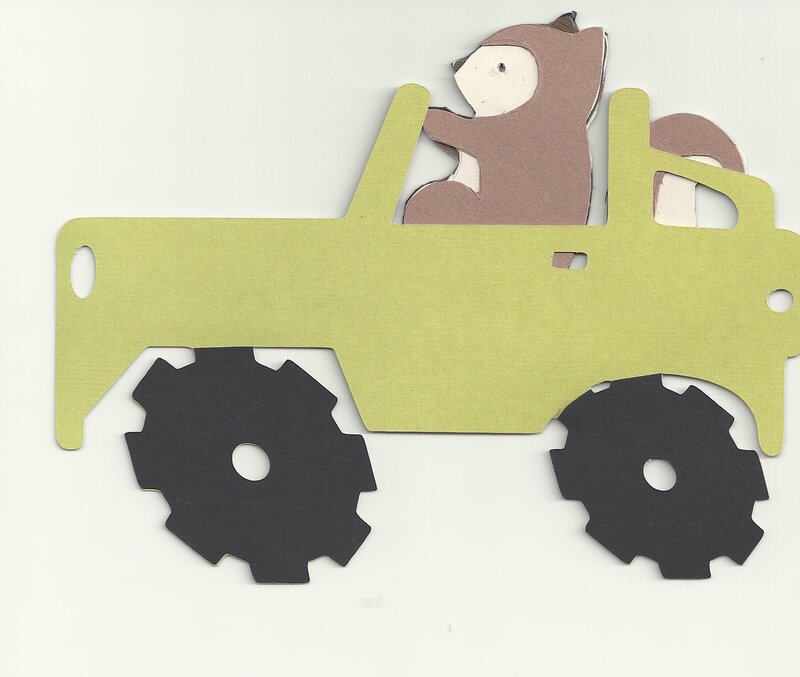 I had some problems early on with the squirrel~which is from the Cricut Cartridge “Give A Hoot”. It took me some time to think thru the layering. Sorted out my colors and attached them to the mat without problem. I didn’t, however, have the correct pressure set on the blade. Instead of cutting the squirrel again, I decided to hand cut around the lines that were made on the paper. For the jeep, I increased the blade depth and pressure to maximum and it cut perfectly. Moving in the right direction! I am not afraid! Definitely—next time I will just re-cut the paper on my Cricut using the correct blade and depth settings~its so worth it and NOT worth my time hand-cutting. What is the Cricut for? Why the squirrel in the jeep? Because I am making a sign for the yard…for my DH’s birthday. I call him secret squirrel because he picks things up and moves them and I can’t find them. More on this project later. oh..and I am so excited to be entering in a post-CHA random drawing for a free cartridge from Provo Craft.